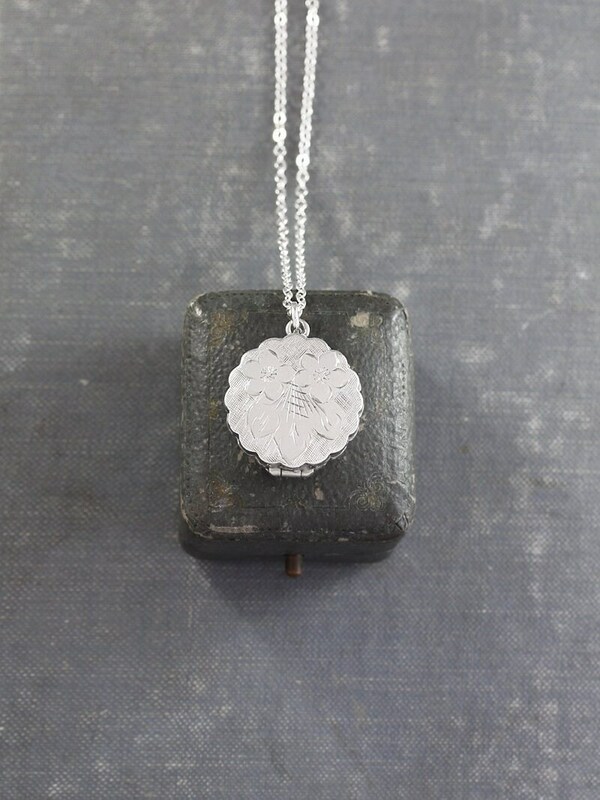 Two forget me not flowers and a small spray of leaves are engraved on the face of this lovely scalloped edged locket. 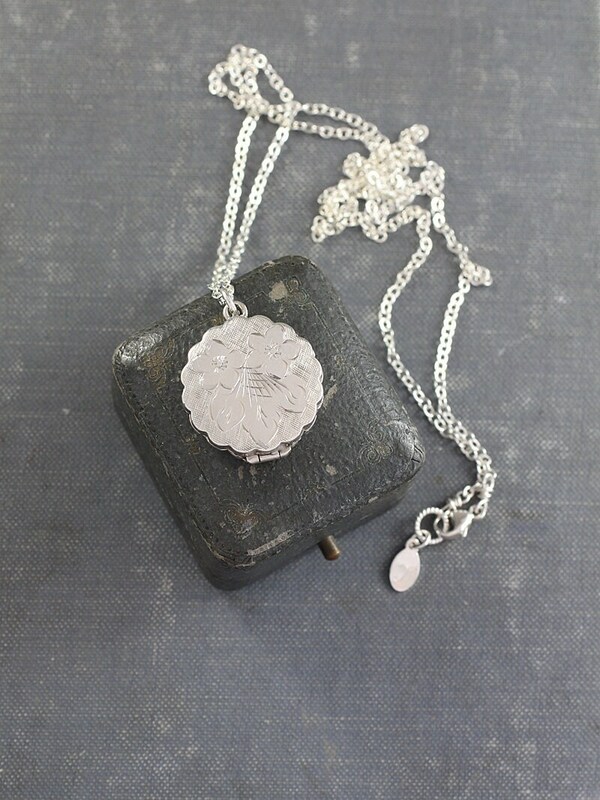 The floral design is accented by a textured background. 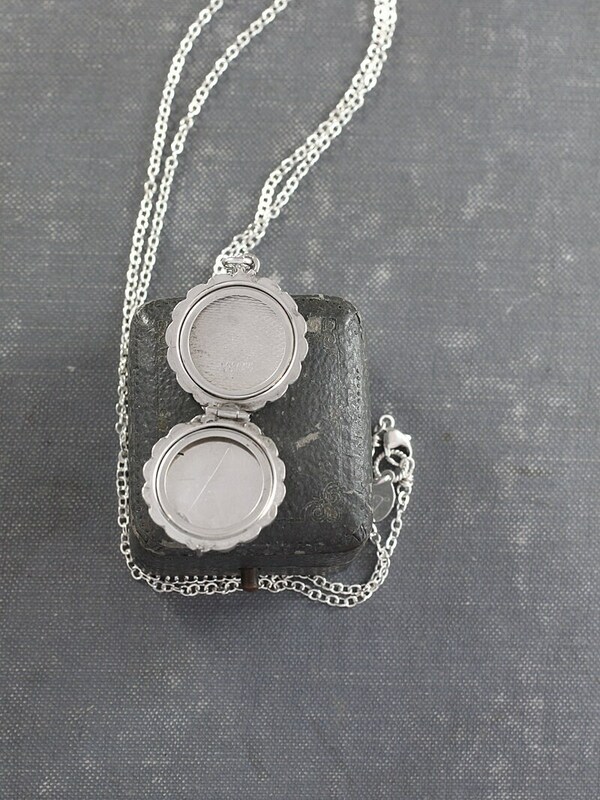 The vintage small round silver locket opens from the top down to reveal two removable frames waiting to hold your beloved photographs. 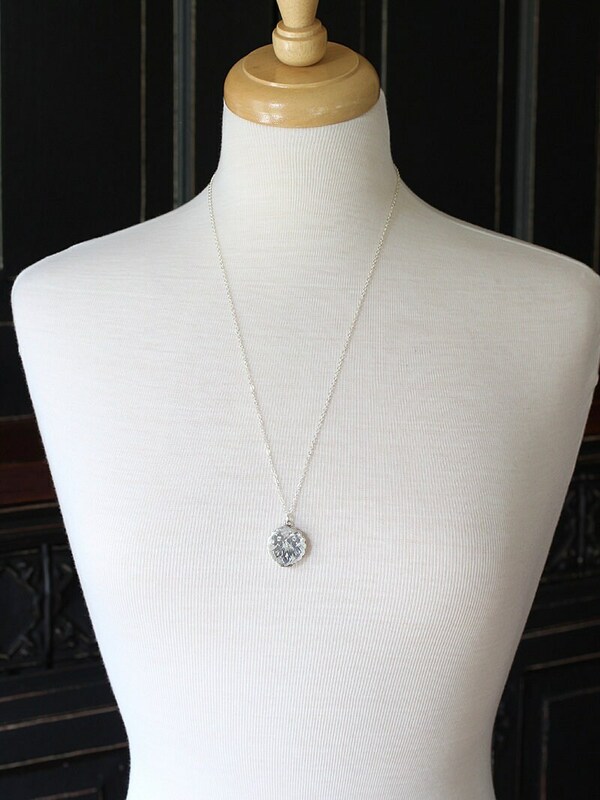 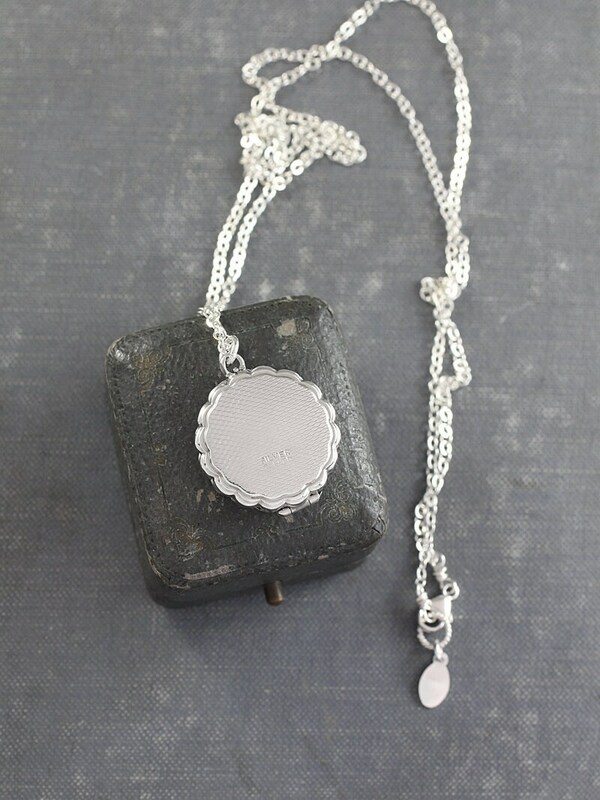 The locket is set on a new sterling silver chain hand finished with a trigger clasp and ring.